"When some people think of geothermal they think of harnessing the power of volcanoes, drilling holes in the Earth's crust and pouring water in to create a steam vent to turn a generator. Technically such things are possible, but they're also largely unnecessary. 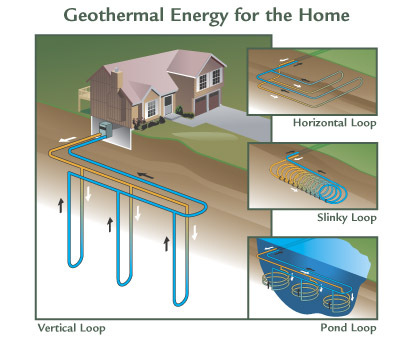 A lot of heat can actually be derived just by drilling down a little and using nothing more than air circulation to get heat; Hence the marvel of geothermal heating systems, a growing trend amongst home-owners. 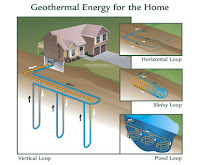 Geothermal heating systems (also known as ground source heat pumps, GSHPs, earth energy, or geoexchange systems) are an ideal way of reducing home energy costs. These systems are incredibly environmentally friendly as it uses the natural heat of the Earth with no emissions or toxicity involved. A series of pipes are drilled down into the ground to create a circuit. Air is then pumped through the circuit using a small electric fan (so there is technically a small amount of energy used to make the system work). The circulating air goes down into the ground cool and comes up warm. 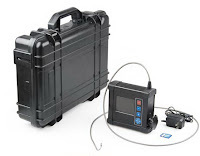 This is a similar concept to building your home in a deep cave, where the air temperature is constant all year long, but without the obvious problems of living inside a cave (taken from here)"
And push camera with video camera and powerful light source can help a lot in inspection of geothermal pipes. 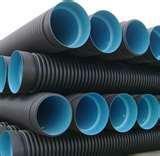 Many companies use push cameras for inspection of pipes from 8" to 30" and length up to 120 meters. Push camera Anaconda with a special convenient pan-and-tilt camera can perfectly match this task. Its camera can move in two directions and observe every bit of the pipe all around! This unique technology is combined with advanced light source. Rigid vs. Flexible Video Borescopes. How to make right choice?. Video Borescopes are getting more and more popular. They replace optical rigid and flexible borescopes, which stem from the first endoscope in 1853. Video borescopes (or videoscopes) have many advantages. 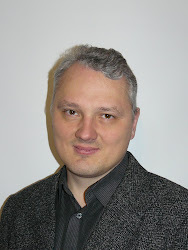 Videoscopes are not so fragile and have a higher resolution than flexible optical borescopes, which is a very important issue at remote visual inspection. Contrary to optical borescopes, videoscopes possess recording feature, and additional bulky gadgets for inspection recording are unnecessary. Rigid video borescopes can be readily used for non-destructive testing instead of optical rigid borescopes. Such non-destructive testing generally includes vertical or lateral inspections (turbines of planes, cylinders in car engines, barrels) through confined access in confined areas. 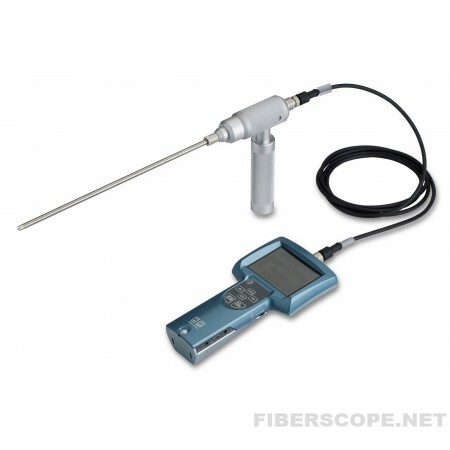 Metallic insertion probes of rigid videoscopes reduce damages of the system during inspection. Flexible videoscopes seem very attractive in areas, which require more freedom during remote inspection, e.g. bypassing corners or bends. There are video borescopes with both polyurethane, and stronger, stainless steel braiding, and even the strongest braiding – tungsten. Recently videoscopes with non-conductive braiding appeared in the market (IRIS), which meet modern industrial demands and are used in hazardous areas, where static electricity should be excluded. 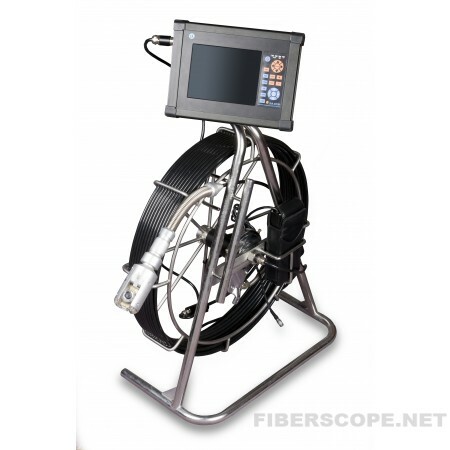 New rigid video borescopes, combine advantages of rigid and flexible borescopes. 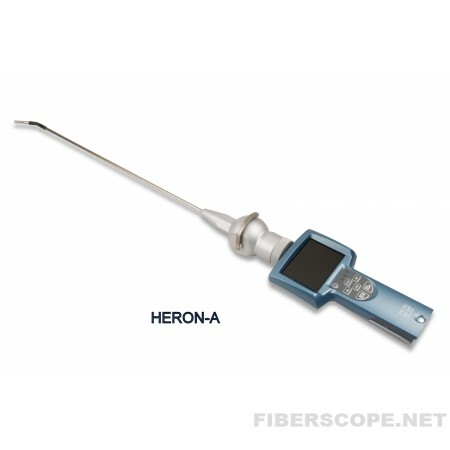 Heron-A videoscopes have articulated tip and support diverse remote visual inspections. Though rigid video borescopes still have some limitations, and main one is their limited length (generally no more than 70 cm) contrary to flexible videoscopes with length up to 30 meters.